Guys, today we introduce you a new TC mod from Hugo Vapor, called URUS. Utilizing the nylonfibre fame, it’s very light-weight with comfortable hand feeling. 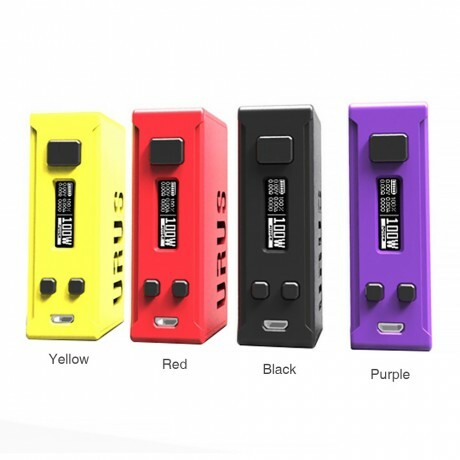 Like other popular mods on the market, it’s compatible with single 18650/20700/21700 cells, which can fire up to 100W. The various working modes, including VW/Bypass/TC(Ni/Ti/SS)/VTC/Preheat can bring a lot of vaping fun. Together with the large square fire button, 0.91 inch display and changeable side panel, the URUS will definitely impress you so much. 4 brilliant colors to select. Chinese Spring Festival holiday is coming soon. We set a big promotion for you. Just take advantage of it.